Results for - my daughter is not in the Christmas spirit so I told her about krampus. did/do you tell you kids about krampus if they are not in the Christmas spirit? 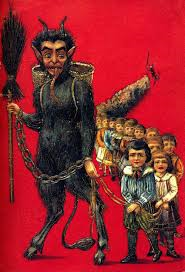 1. my daughter is not in the Christmas spirit so I told her about krampus. did/do you tell you kids about krampus if they are not in the Christmas spirit?